If you find it difficult to understand what is happening in our world today, you are not alone. On Saturday, November 17, Greening Greenfield invites everyone to the 5th biennial forum entitled May you Live in Interesting Times: Building Just Communities in a Time of Chaos. The forum offers us the opportunity to compare notes on issues concerning us and find local solutions that can improve our lives in Franklin County. The forum will be anchored by two inspiring keynote speakers and a diverse array of 12 workshops inviting discussion and idea sharing. Our speakers and workshops are all about how to build a just world in a time when all around us feels chaotic. We are living in a time where everything–our weather patterns, the ways in which we deal with social and political concerns, migration and immigration, and economies that have most of us living paycheck to paycheck—makes us feel that the ground is shifting under our feet. This forum calls on us all to talk with each other and develop strategies that meet the needs of everyone in our community with equity. 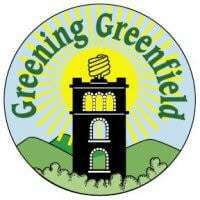 More info and registration at greeninggreenfieldma.org.